The Fabric Extender (FEX ) component, also referred to as the I/O Module (IOM), is the component used to extend the unified fabric from the Fabric Interconnects into the UCS 5100 Series Blade Server chassis. Literally speaking – there is no switching happening between the Fiber Interconnects and the Fabric Extenders… the FEX are managed as an extension of the Interconnects. The picture on the right shows the rear of the chassis with the fabric extenders inserted. Each UCS 5100 chassis can support up to two fabric extenders. The Cisco UCS 2104XP Fabric Extender is the first and currently the only product in the 2100 series. • It has 4 GigE, FCoE capable, SFP+ ports (the ports shown in the picture above). • This extender has 8 10GigE ports connected to the midplane to each half-width slot in the chassis. Typically configured for redundancy, two FEX provide up to 80Gbps of I/O to the chassis. The Cisco UCS 2208XP Fabric Extender is the first product in the UCS 2200 series. This model has 8 10GigE Ethernet, FCoE-capable, SFP+ ports. 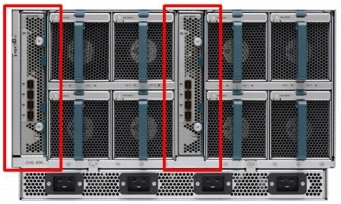 Each Cisco UCS 2208XP has 32 10GigE ports connected to the midplane to each half-width slot in the chassis. Two of these FEX provide up to 160 Gbps of I/O to the chassis. 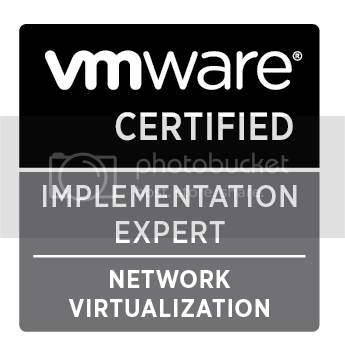 Check out the data sheets on Cisco.com for full specs.